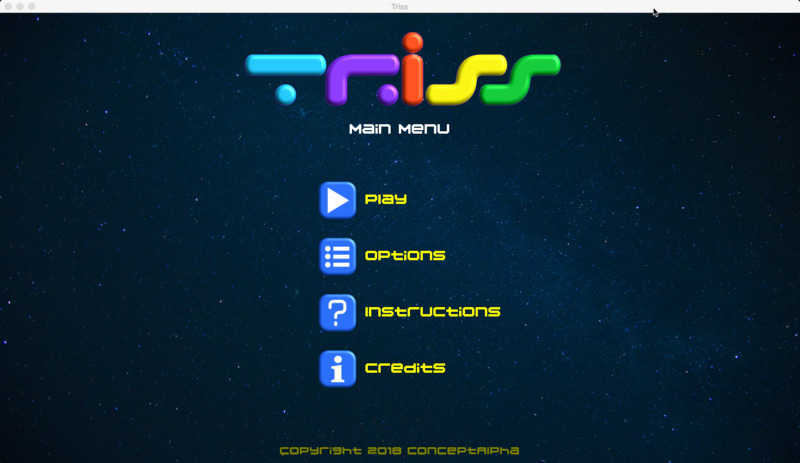 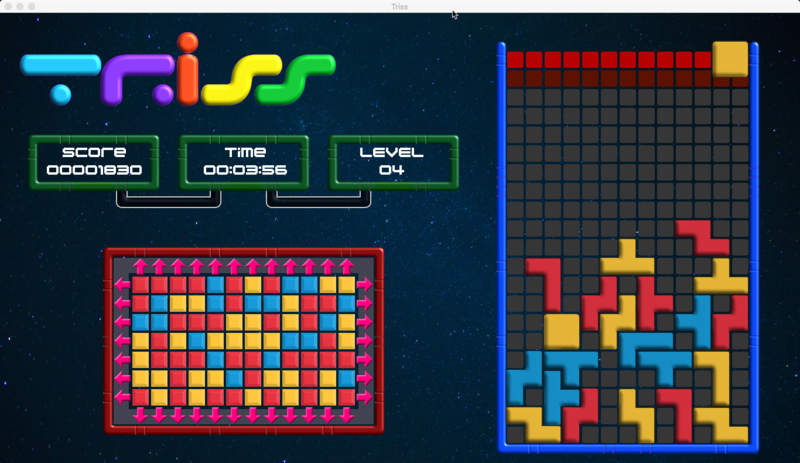 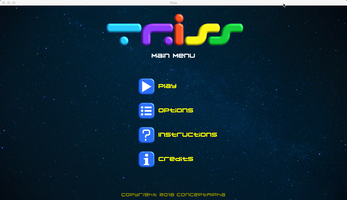 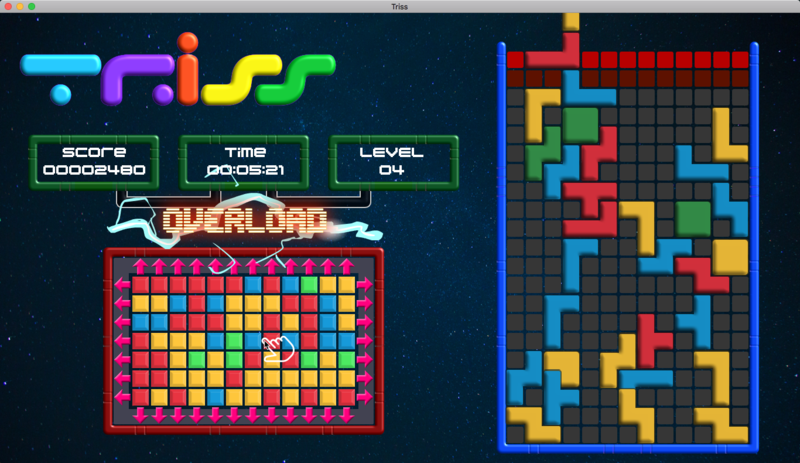 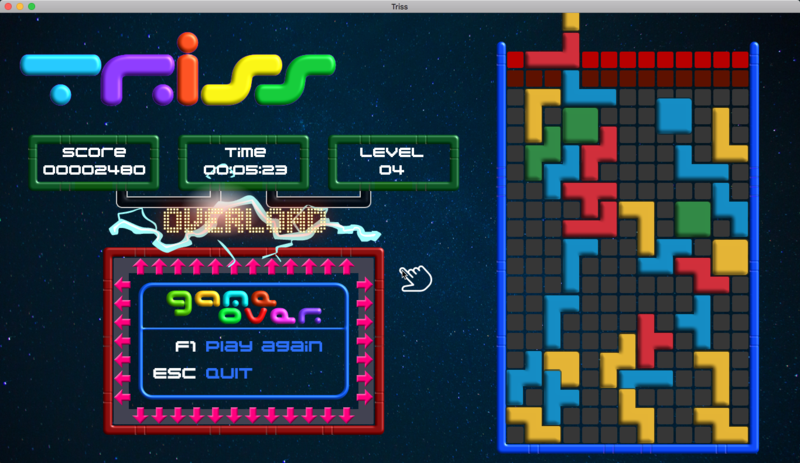 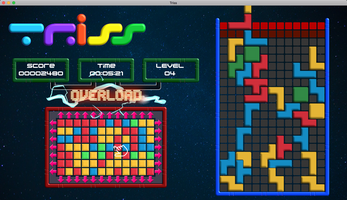 Triss, a Tetris game with a twist. The tetronimoes keep stacking up on the Tetris tower, but you have no way to move them or rotate them. 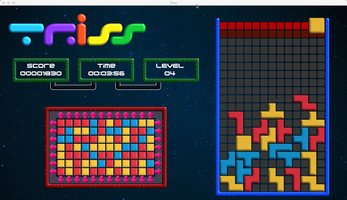 Instead you control the colour grid to zap the shapes!